In line with the coalition’s remit to “save money, whatever the cost”, it is with great pride that we can announce the Department is amalgamating with the Ministry for Auditing the Apocalympics. 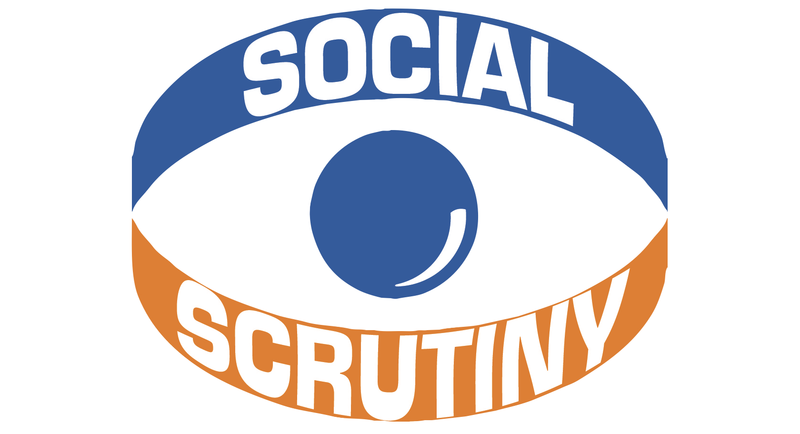 The new department will be known as the Department of Social Scrutiny and the Apocalypse - DoSSA. We have commissioned a new logo - right - which, we think, mirror the new responsibilities of the Department while still in the traditional DoSS Pantone colours of Selsey Flapjack and Vichy Whisper. The logo integrates an Olympic Torch and a large bolide into the familiar DoSS eye device. Copies of the new logo are available to all right-thinking newspaper editors. But not the News of the World, because they were on holiday at the time. An audio statement on the phone hacking scandal has just been issued by the Department. Download the podcast below. Contains the Espionage forecast for August. Was that a knock on the door?